Hi! 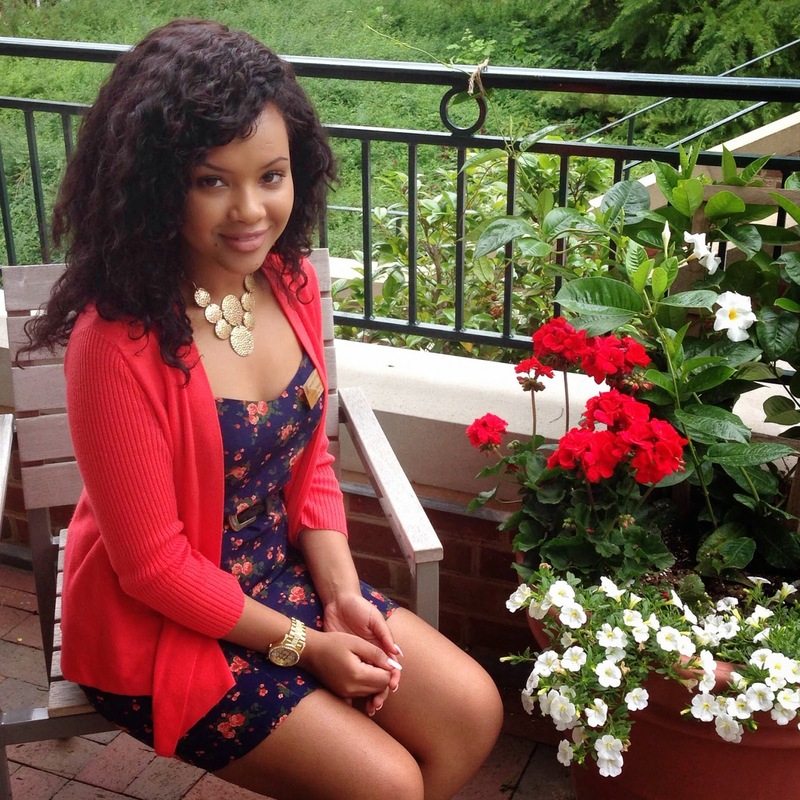 My name is Veronica, and I'm a rising second year in the School of Engineering and Applied Science. I'm currently interning with the Office of Admissions at UVA and I'm super excited to experience Grounds as well as the city of Charlottesville over the summer! 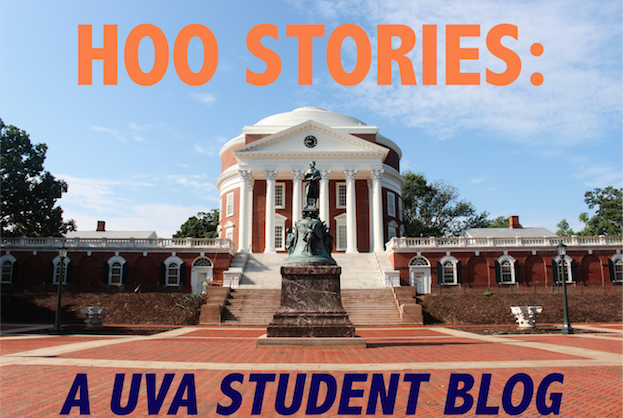 Studying abroad and gaining a global perspective on a variety of subjects is something UVA encourages of all of its students, so I'm going to be writing about the international experiences of different UVA students. Studying abroad is an awesome way to supplement in-class education, and UVA makes it so easy for students to do so! One of my favorite UVA memories is Trick or Treating on the Lawn which takes place on Halloween every year. All the little kids from all around Charlottesville (and some alumni even bring their children back!) come dressed in costumes and go door-to-door asking for candy from all the students and faculty who live in the lawn rooms and pavilions lining the Lawn. It's so much fun to see all the adorable little cats, dogs, bumblebees and so on wandering through the heart of the one of the country's oldest and most historic institutions. 7/1/2014: Melissa on Semester at Sea! Labels: Blogger Bio, Hoos Abroad? 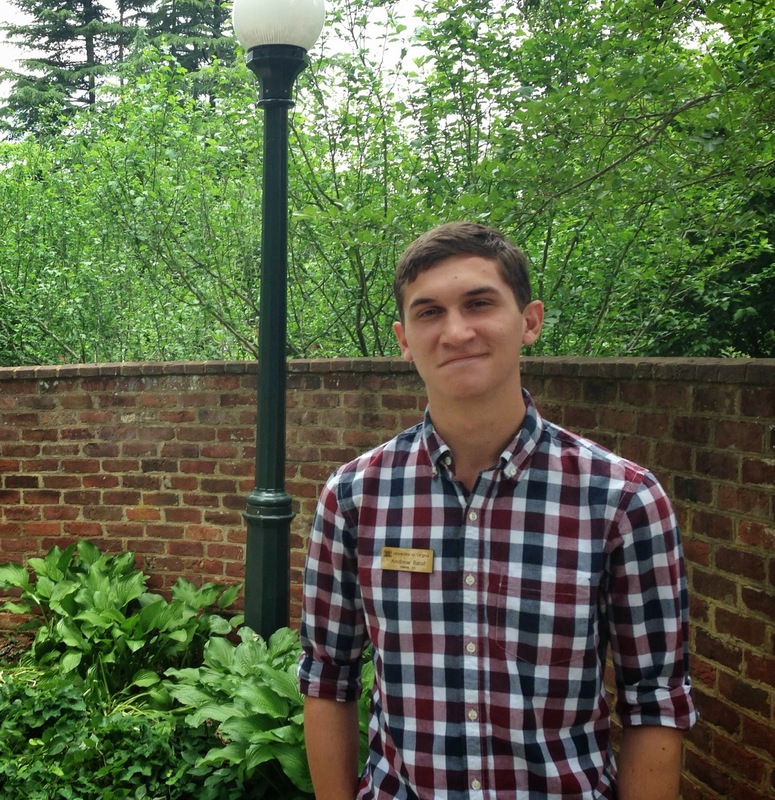 My name is Andrew Barat from Vienna, Virginia, and I'm a third year in the College of Arts and Sciences. Currently I am majoring in Media Studies but would like to pursue either a double major or minor in drama as well. I am involved with arts groups on grounds and would love to pursue a career in the study and development of cinema, plays, music or other arts media. I can't wait to share my love for this University and talk to all of my tourists about how they can feel as welcome here as I do this summer! After each show that the organization First Year Players puts on, every member runs backstage to come together and sing the Good 'Ole Song. The first time I was a part of this I truly felt like a part of the community of FYP and of the University and every time it has happened since I am reminded of how wonderful a community I am a part of here at UVa. Hey everyone! 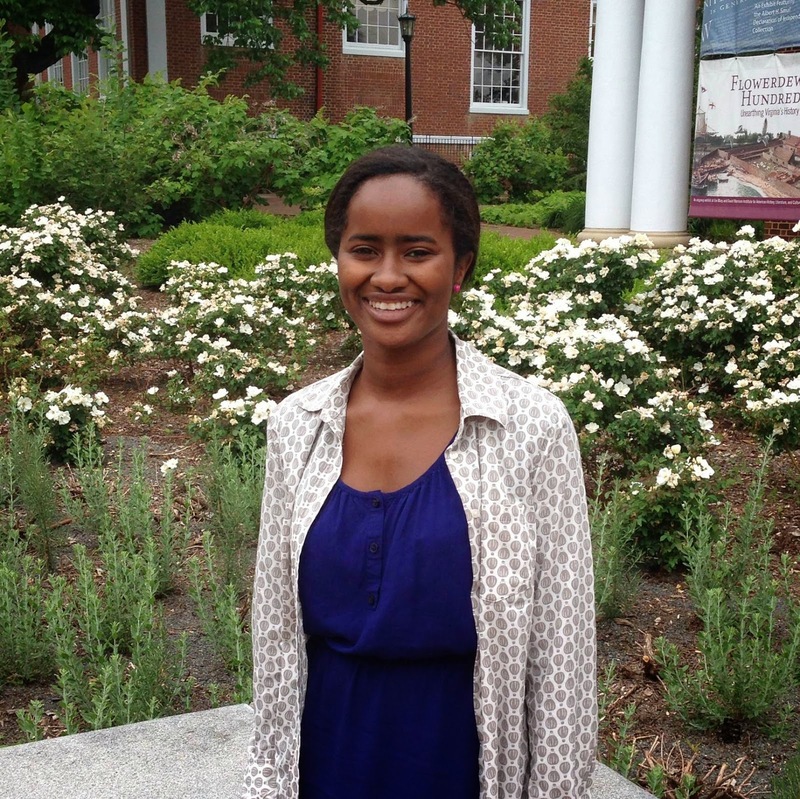 My name is Chelsea Marcelin and I hail from the beautifully small town of Rutland, MA. I am currently a graduate student in my 5th year at the University studying Elementary Education in the Curry School of Education. Post graduation, I hope to work as an elementary school teacher working in either 3rd or 4th grade. Over my 4 years at the University, I have had an infinite amount of wonderful social and academic opportunities.One of those was having the chance to work with numerous amazing professors in many different fields. All the professors at the University truly dedicate themselves to their work and their students. Watch out for my posts talking about a few of the countless awesome professors around grounds! One of my favorite memories at UVa was during the winter this past year. It was snowing pretty heavily, so classes had been canceled for the next day. My roommates and I decided to walk to the lawn and take some pictures in the snow before it began to ice over. The Rotunda looked simply breathtaking with a blanket of fresh snow. After we had been on the lawn for about 15 minutes, all of the sudden hundreds of people began filtering onto the lawn. Apparently, someone had forwarded an email to some friends (which ended up spreading to half the school) about meeting on the lawn for some late night snowy fun. We ended up having a gigantic snowball fight, building snowmen, and sledding down the lawn for over an hour! It was definitely one of my most memorable nights at UVa, and one of the most fun! Hey guys! My name is Belên Osman and I'm a rising third year in the College of Arts and Sciences with a passion for politics, traveling, maxi dresses, Netflix binges and snacking at 2 AM. I'm super excited to be interning here at the Office of Admission and writing an academic blog that students will actually want to read. 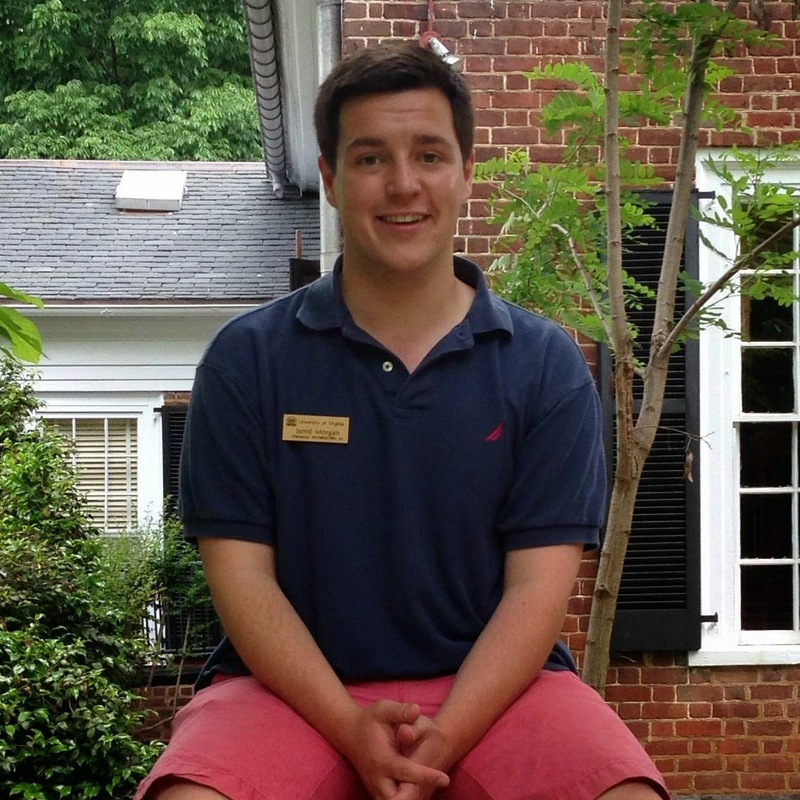 I'll be giving you a look at what student self-governance means here at UVa, how it impacts our community, and the different ways to get involved. I promise not to just spout monotonous facts and give you a very personal look at this important aspect of UVa. I stated volunteering at a day care center through Madison House during my first year. On my first day, I missed the downtown bus (twice), I got lost going to the day care, dropped the bagel I was eating and spilled my tea while trying to open a door. All this happened even before I got to the day care to start my shift so I was already in a horrible mood. But when I finally managed to get there, being around all these excited, playful, smiling kids and forgetting all about my morning and just coloring and playing tag for 2 hours was such a relaxing and rewarding experience that it really reminded me not to sweat the small stuff. Hey guys! My name is Will Bennett, I am currently a rising third-year student studying Economics & Psychology in the College of Arts and Sciences. I have really enjoyed my past two years here at UVa and a big part of what has made my time at UVa so enjoyable has been participating in many of UVa's historic traditions. UVa has a lot of fun traditions that have been some of my most memorable experiences of the past two years, and I am so excited to be able to share them with you guys. 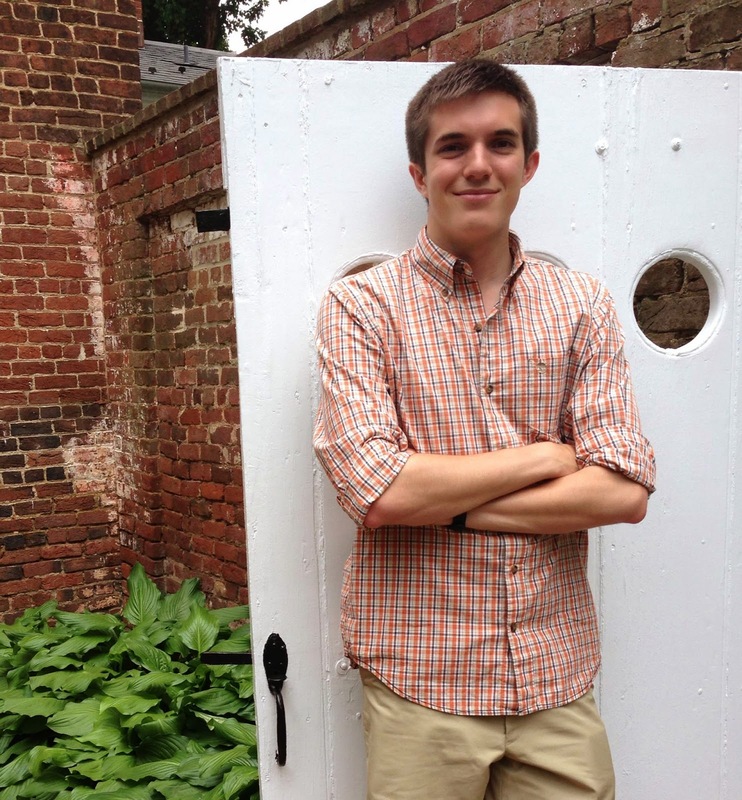 My favorite UVa memory was from my first weekend at UVa as a first-year student. After going to the Welcome Concert with some of my new friends from my dorm, we decided to walk to the Lawn and sit on the Rotunda for the first time as UVa students. While we were walking to the Rotunda, a fourth-year came out of his lawn room, asked us if we were first-years, and invited us into his lawn room to hang out with him and his friends. He did not know me or any of my friends from my dorm, but all he needed to know was that we were first-year UVa students for him to want to befriend us and make us feel welcome. This was only my first weekend, but already the students that I met were making me feel so at home at UVa that I knew I had made the right decision to come to UVa. I am a rising fourth year in the College of Arts and Sciences. I come from Lancaster, Pennsylvania but am really proud to call Charlottesville home! The city has so much to offer, from nature trails to concerts to really really good food. Living here and attending UVa has opened up so many doors for me- Wahoowa! Some friends and I ran a mud race called Mud Warrior during my first year here. We drove out to Ruckersville and ran through woods and waded through mud-pits - sliding down a huge mud tarp afterwards! Hey y'all, I am Wyatt Moorer. I am a first year (rising second year) from Birmingham, AL. I am currently studying history and politics. 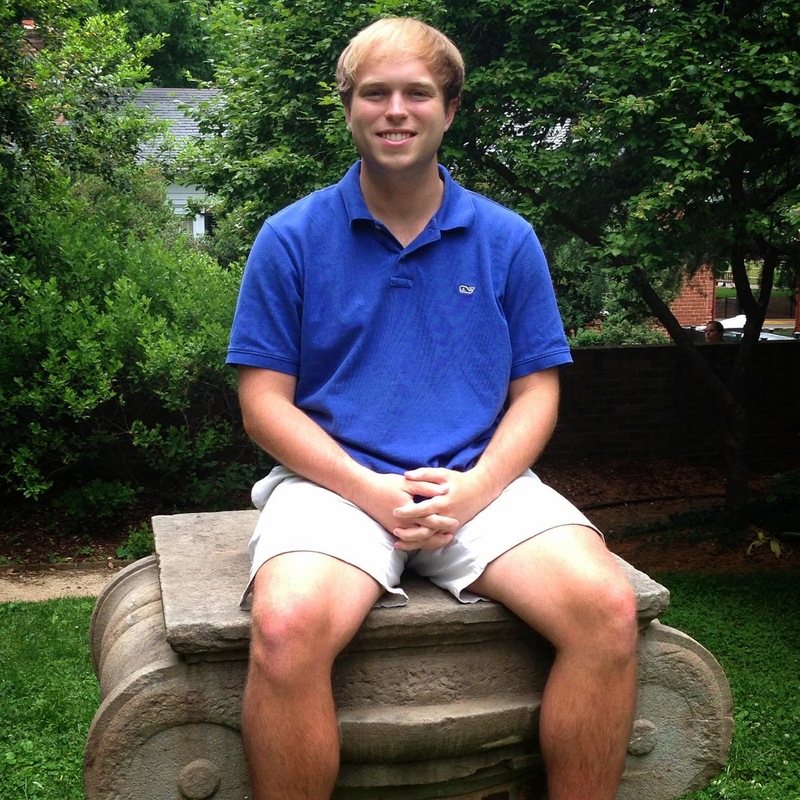 I am really excited to be able to stay in Charlottesville over the summer. I will be talking a bit in my blog about athletics at UVA and different experiences with those. 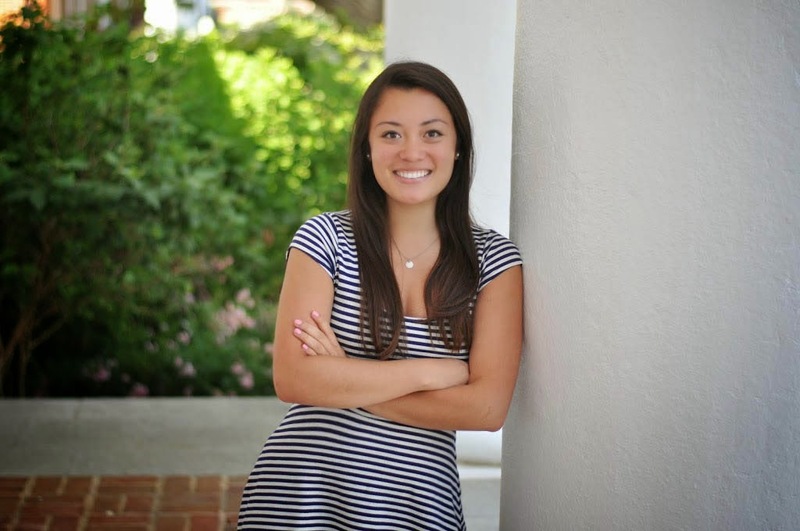 I’m really excited to get to talk about sports at UVA as well as athletic traditions that we have. My favorite memory would have to be when a group of friends and I got up at 5 in the morning to go on a sunrise hike of Old Rag trail close to UVA grounds. The hike was not all that challenging but worth it for the great view we got to see at the top. It was great to have a casual environment to talk with everyone and to get a first hand experience of some of the Charlottesville area's great outdoors. On my first tour of UVa, I never imagined that I would someday be lucky enough to call myself a Wahoo. And yet, somehow, I made it. 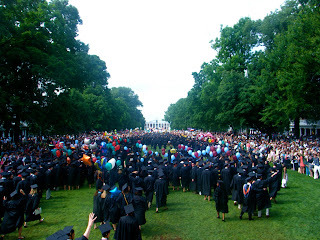 On Sunday, I walked the Lawn with my classmates during UVa's 181st Final Exercises and celebrated the culmination of the best four years that I could have ever asked for. Looking back, I can say with the utmost confidence that UVa is unlike any other University in the nation. There is something special about this place that inspires passion and dedication in its students and a tangible energy on grounds that I will miss terribly next year. The thing that has affected me the most during my four years on Grounds has been the community I've felt. If someone were to ask me to describe the typical UVa student, I would say that he/she is incredibly smart, but never lets on. Active, but not in your face about it. He or she is incredibly passionate about making a difference at UVa and always eager to tell you about his/her favorite cause. He/she is extremely dedicated to having a good time, whether that be on the downtown mall, the Corner, Rugby Rd. or Scott Stadium. UVa students have the work hard/play hard attitude down to an art form, and I'll miss being surrounded by such smart, committed and passionate people. My advice to the Class of 2014: Do everything. Just do it. There are thousands of things to do on Grounds, and I challenge you to do as much as you possibly can. Sometimes its worth it to skim your reading assignment if it means going downtown with friends and strolling through Charlottesville. I've never regretted putting down my homework to experience UVa, there is something to learn around every corner. My advice to the future Class of 2015: Keep an open mind. There are infinite amounts of different ways to experience UVa, look for them as you tour grounds and cruise the website. Be yourself on your application, don't stress about it and seek a school that will be the perfect fit for you. UVa was mine, who knows what yours may be. 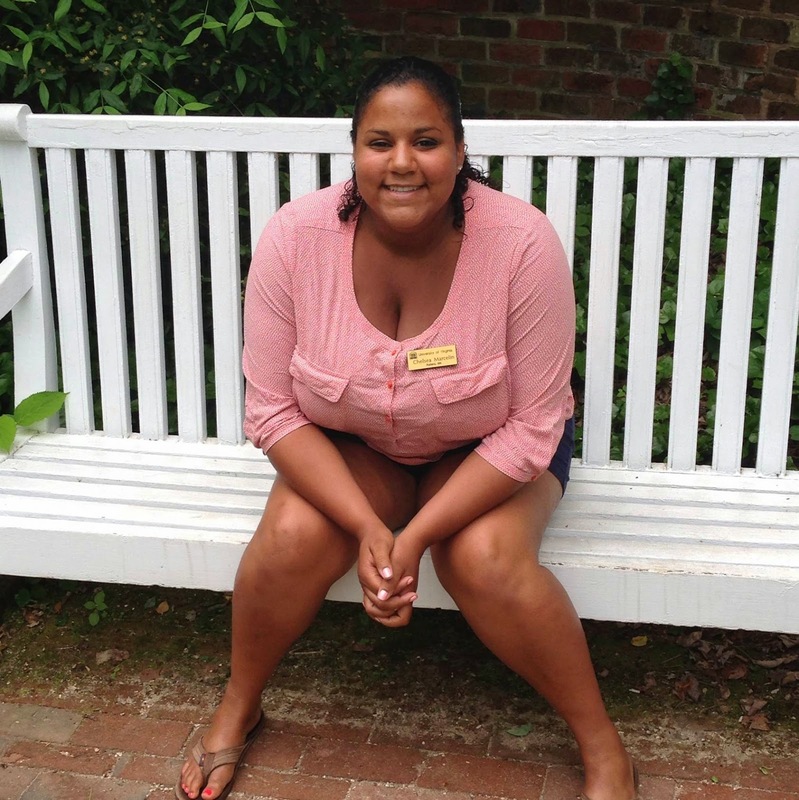 Read the blog, talk to students and don't be embarassed by your parents on admissions tours. My name is Jared Morgan, and I'm a rising fourth year studying Management and Marketing in the Commerce School as well as Media Studies. I'm really excited to not only be leading visitors on tours for the Office of Admission but also leading some of y'all online with posts every other week. My topic of choice will cover all the different things to do at UVA and in Charlottesville in posts called My Date with CVille. Of course, these ideas are fun with "dates" but can also be a great time with friends or family, too! Hopefully they'll give a good picture of all the things you can do with some special 'Hoo or with friends and out-of-town visitors! After finishing a pretty grueling group project this past semester, I went out for ice cream with the classmates I did the assignment with. It was perfect Spring weather in Charlottesville (mid 70s and sunny), and it was free cone day at Ben & Jerry's. It was awesome to have a group that enjoyed working so much together that it became a social as well as a learning experience. That, and free rocky road didn't hurt.